The Matinee February 25th has a few bands that are retro-oriented and have a sound that many of us will immediately recognize. There are some artists making music with their own creative slant. Regardless if they sound old or new, all six artists will amaze you with their music. We head overseas for the first three selections before returning to North America. If you’re looking for the next Foals or even Arctic Monkeys, look no further than AmatrArt. 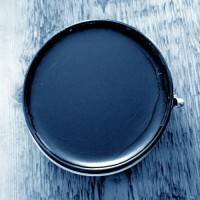 Getting set to release a double A-side single, the lead track is the awesome “Mirror”. Like their more famous cousins, the Glasgow-based band have created a dramatic and cinematic indie-rock tune. The tempo and pace are brilliant with the track starting off softly before exploding into a wave of static guitars and pulsating rhythms. And this doesn’t happen once or even twice but three times. Be prepared to be blown away by this band with a great name and a better sound. AmatrArt’s double A-side single Mirror/Soft Skin will be released on 8th April 2016 via Bloc+ Music. The band is comprised of Jonathan Mullen (vocals/guitar), Josh McGeechan (guitar), Niall Jootun (bass), Niall Morris (samples/synths), and Lewis Orr (drums). In December, Brixton singer-songwriter Bryde shared one of the most crushing singles of 2015 with “Wait”, a song that was one of our favorites of the year and made our final mega, mega playlist. She’s back with another great single, “Help Yourself”. Unlike “Wait” which was stark and haunting in a Daughter fashion, Bryde adopts an edgy and gritty style, yet she retains the crushing, raw emotional power of her debut. It’s a different and an exciting side that Bryde has shown, one that is more like Fiona Apple than Elena Tonra. “Help Yourself” is from Bryde’s forthcoming EPI, which is expected in the spring. Forgive me if I don’t say too much about “Song For Everything”, the latest single by London-based singer-songwriter Danny Green – a.k.a. 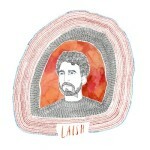 Laish. Just listen to this song and you’ll be immediately struck by Green’s heartfelt lyrics and the distant yet warm melodies. It has the striking qualities of Phosphorescent’s masterful “Song for Zula” and Glen Hansard’s immense discography. If Green changed his moniker to Lavish, it wouldn’t be one bit out of place. 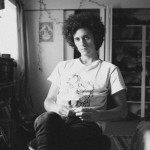 If you remember the great indie-rock band Toy Soldiers, then you’ll recognize the name Ron Gallo, who fronted the band. Gallo is about to launch his second solo band, Heavy Meta, and the second track is a blistering, old-fashion, rock ‘n roll track. The retro approach perfectly complements the song’s description of a person’s “second life” when the secrets come out of the closet late at night. But besides the storyline, the noodling work on the guitar is fantastic, and much like Jerry Lee Lewis, Gallo will have doing a frenzied dance. Heavy Meta is expected in the latter half of 2016, but an exact date will be confirmed in the near future. Gallo is heading on tour, including making a stop at SXSW. 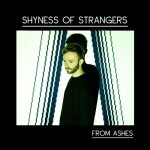 Meet Shyness of Strangers, the project of Vadim Kristopher. Born in Poland before making his way to Canada, Kirstopher has criss-crossed his way through Canada, residing in the far-reaches such as Nelson, British Columbia to now the concrete jungle of Toronto. 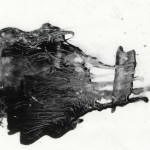 His expeditions might explain why his music is stark and even chilling; however, it is still brilliantly conceived. Take “Brotherhood Of Man”, for instance, an industrial, new-wave tune that echoes of Joy Division’s grittiness, New Order’s early polish, and Depeche Mode’s dark and driving aesthetics. Like these band’s early works, this track is dark, haunting, yet completely glamorous. “Brotherhood Of Man” is taken from his new EP, Ashes, which you can purchase here. To end today’s mini-playlist, we need something to brighten up the day. Memphis-based trio Solarflairs are just the solution. Their latest single, “Spirit of Johnny”, is a scintillating, guitar-driven, power-pop track that recalls the great ballads of the indie-pop of the late ’80s and early ’90s. Their approach might remind you of The Martinis, but there are traces of other influences. For instance, if you listen closely, the guitar melody during the song’s slower parts echoes of U2’s early hit “Bad”. 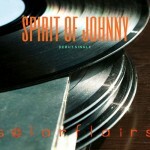 For Solarflairs, “Spirit of Johnny” just might be their hit single. Solarflairs are Greg Gentry, Mario Aviles, and Elisabeth Eickhoff. This is one cool band.